Everybody knows companies need to pay the corporate tax. But do you know why? In addition, why some big corporations in the U.S., such as Google, open subsidiaries in Ireland, Netherlands, or Bermuda? 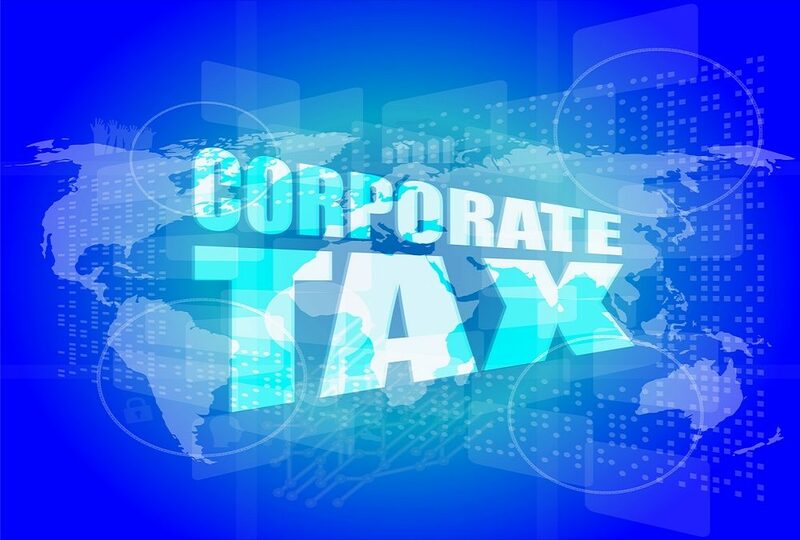 This article will give you a better understanding of what corporate tax is. Generally, a corporate tax in the U.S. is imposed by the Federal government, state governments, and some local areas based on the profit of the corporation made in the previous tax year. The corporate tax, individual income tax, and payroll tax are the three largest sources of the federal tax revenue. The corporate tax plays an important role in encouraging the economic development and adjusting of macro-economic of the country. First, one of the most important roles of the corporate tax is increasing the fiscal revenue. As I mentioned before, the corporate tax is one of the largest sources of the federal tax revenue. These taxes will be used to public affairs, government investment, welfare, and support the operation of the government. Second, the role of guaranteeing the social security. A limited liability company is a business structure that only undertakes limited liability. Once the limited liability company (LLC) files for the bankruptcy protection, the shareholders will not undertake liability anymore. And the assets only belong to the company will be frozen. This way, the shareholders shouldn’t take out their money to compensate the loss of others so they can keep their own properties. But what if the assets of the company cannot cover all the compensation and penalties? Then the corporate tax that the LLC paid before can partly compensate the loss and support the welfare of the employees (sounds like an insurance). Third, the role of intervening the macroeconomic. The corporate tax can adjust and balance the relationship of the profit distribution between the government and the companies. Also, it is a tool to adjust the nation and social circumstances, such as the unemployment rate, fiscal situation, and more. The government can intervene the market and the society through adjusting the taxation policy, such as tax deduction and exemption, accelerated depreciation, investment credit, income reduction and many other tax incentives. Take the income tax rate as an example, during the Great Depression, President Roosevelt planned the New Deal. One section of the New Deal was increasing the corporate tax and individual income tax rates and decreasing the outlay. This way, it helped narrow the gap between the rich and the poor during that blackest period. Compared to the corporate taxes rates in other countries (20% in U.K., 17% in Singapore, and 12.5% in Ireland), the federal corporate tax rates in the U.S. vary from 15% to 38%, in addition to other state corporate tax rates. In this case, many companies try tax avoidance. Tax avoidance is a legal way for companies to reduce the tax duty and to increase the profit. Usually, some corporations will register a subsidiary in or inverse (corporate inversion) to another country or area with a low corporate tax rate, such as the British Virgin Islands and Bermuda. About 75% of companies in the U.S. Fortune 500 has at least one subsidiary in these tax avoidance havens or areas with low corporate tax rates. With the help of you corporate inversion, the company can pay less amount of taxes and the interest. The subsidiary in the U.S. can get a loan from and pay interest to the parent company. On one hand, the interest can be a tax deduction in the United States. On the other hand, British Virgin Islands, Bermuda, and other tax avoidance havens offer offshore duty-free allowances. Thus, the parent company doesn’t need to pay tax for the interest. Moreover, companies registered overseas do not need to pay corporate tax, dividend tax, and capital gains tax (GCT) to the U.S. government. As a result, the company approaches increasing the income and profit without any business change.